The SkyView HDX features improved displays, a new design, better control ergonomics, and an updated touch interface. 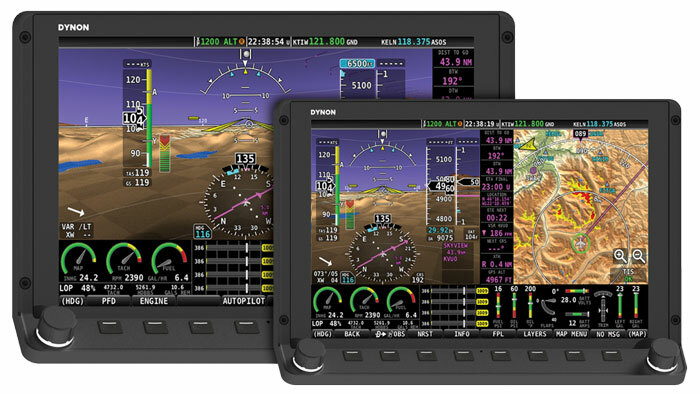 Dynon Avionics, specializing in light sport and experimental aircraft avionics, has announced the SkyView HDX, the latest glass panel in their SkyView line. The SkyView HDX features improved displays, a new design, better control ergonomics, and an updated touch interface. According to the company, the HDX displays are compatible with all existing SkyView components and share identical mounting profiles and electrical connections. Refined combination of full physical controls with a touchscreen. New angled control panel offers natural hand positioning and reduces fatigue, while the wide display ledge allows for better control in turbulence. New knobs are more responsive, and all controls are fully backlit for night flying. An improved touch interface, featuring icon-driven touch controls and simplified screen navigation. A new engine monitor instrument band along the bottom of the display allows for easier instrument scan, and the display features edge to edge touch responsiveness with no bezel in the way. Because it utilizes the same connections and components with existing SkyView systems, the HDX allows for simple drop-in upgrades for pilots already flying with a SkyView system. HDX displays will also work side-by-side with SkyView Touch and SkyVoew Classic displays. The SkyView HDX will be available in 7-inch and 10-inch sizes. The 7-inch SV-HDX800 display will be priced at $3,190, while the 10-inch SV-HDX1100 display will be $4,490. The SkyView HDX is expected to be available in Fall 2016. For additional details, you can visit the Dynon website. In addition to revealing the HDX, Dynon revealed a few other pieces of information to AirVenture crowds. As of Monday, July 25, 2016, all SkyView Touch, Classic and AF-5000 series displays include navigation mapping capabilities. Previously, the mapping software was a separate $500 purchase. According to Michael Schofield, the Dynon Marketing Manager, with the introduction of the entry-level SkyView SE and the new SkyView HDX, they saw an opportunity to streamline the purchase of the other systems to better serve customers. 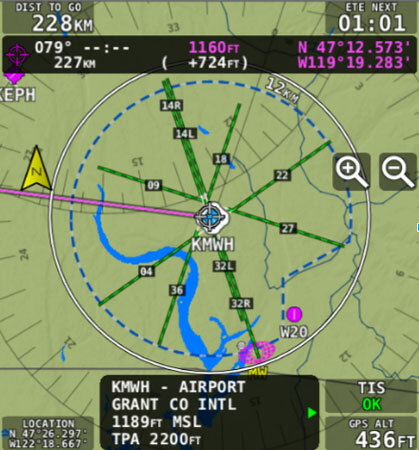 Airspace proximity notification, including the airspace you are in, upcoming airspace along your flight path, and aircraft above and below you. The updated software is expected to be ready in Summer-Fall 2016, and will be a free upgrade for SkyView Classic and Touch users. It will ship pre-installed with the SkyView HDX.